Current Music: Bellows, "The Tower"
skygiants has just finished reading Audrey Erskine Lindop's The Singer Not the Song (1953) and I recommend everyone read her review. I had mostly heard of the book as the source material for the 1961 film, which I have not seen. 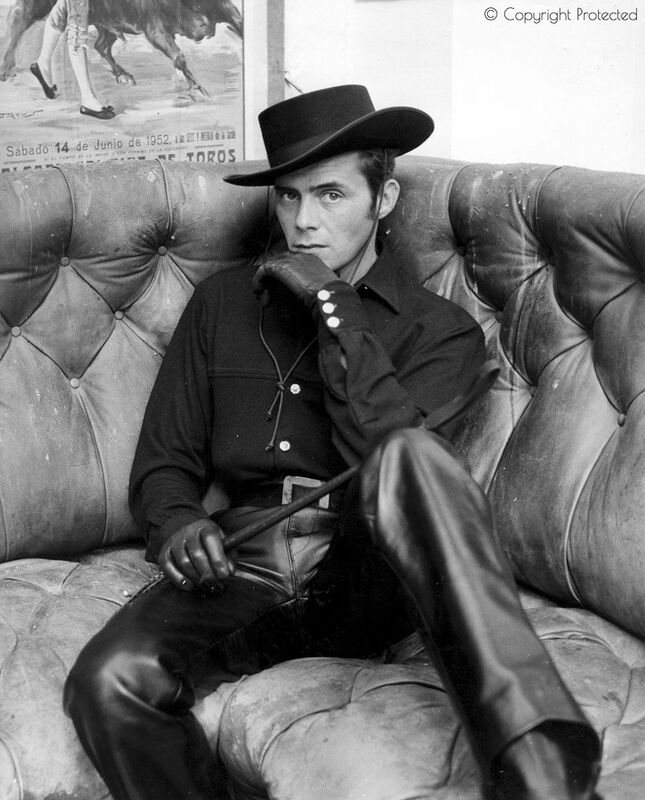 It co-stars John Mills, but I've mostly heard about it in context of Dirk Bogarde, specifically in black leather pants. I went looking for photographic evidence. Nothing I have ever read suggests the film is any good, but I see why people don't care. Oh, my. Thank you for that! Daaaaaamn. Well, it *was* chilly in my office this afternoon. I read somewhere that Bogarde had been led to believe the film would be edgy and European and he'd be playing opposite someone edgy and cool like Marlon Brando- and was really rather cross when he found the guy he was supposed to be in this super-heated relationship with was being played by reliable but unsexy John Mills. Well, I was bewailing the lack of good leather trousered folk, but gosh.